= Echinopsis densispina var. pectinifera (Wessner) J.G.Lamb. Cact. d'Argentine ed. 2 51. 1997 1998 J.G.Lamb. Altitude: 2700 metres above sea level. Description: Echinopsis densispina var. pectinifera firstly described as Lobivia pectinifera is an hight altitude form of the wide ranging and very variable Echinopsis densispina with shirt pectinated spines. 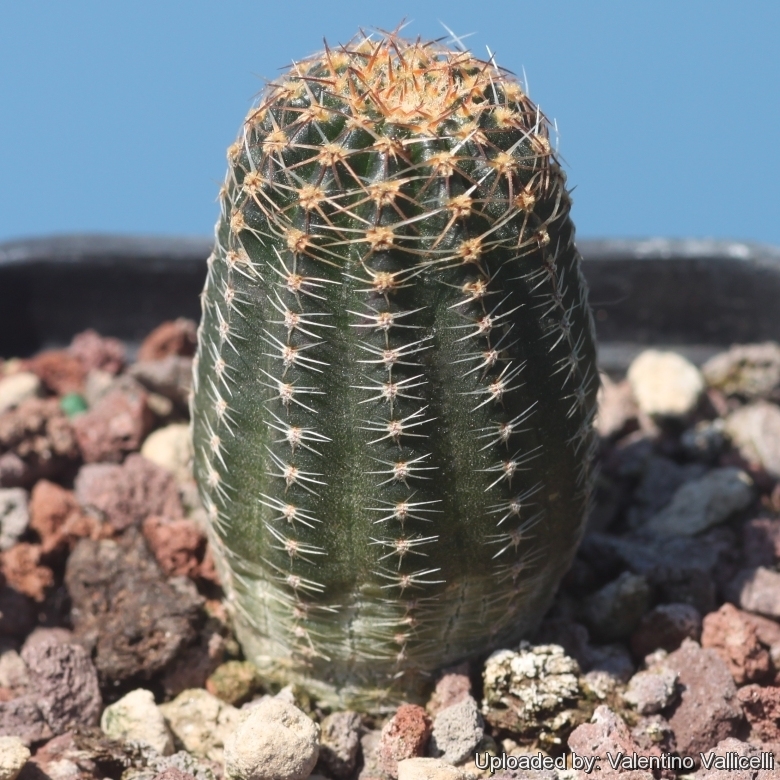 The differences with other Echinopsis densispina are in reality very minimal and most botanist agree on the fact that both should all be included in the Echinopsis densispina. The segregation of the many forms, varieties, and subspecies on the basis of spines morphology and flowers colour, however, is difficult to support, given the continuous range of variation in spination and flower colour over its geographic range. Radial spines: 16-22, Short, somewhat pectinated and appressed against the stem, bristle-like, flexible, whitish, 4 mm long. Forming a network that shades the body.